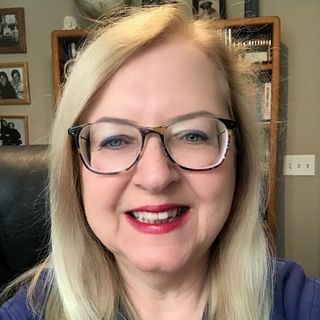 Please join the host of Stand For Truth Radio, SUSAN KNOWLES as she gives you her perspective for the entire hour on Monday, February 4, 2019 at 6pmPT/9pmET. I'll bring you my thoughts about what's happening in the world of current news and politics. Tonight I'll be discussing the unraveling of Virginia and the tale of two Governors due to "racism" or is it something else, 14 Catholic Senators who stood by and let this happen and what Democrats now want in their ... See More "negotiations" for border wall funding. You aren't going to believe what's happening now. Also, we'll talk about what great thing Israel is doing right now that we should be doing. Susan's other book, "Freedom's Fight: A Call to Remember" is a political fiction right in step with where we find ourselves today. She has appeared as a guest on The Glenn Beck Show, The Pat & Stu Show and The Rick Amato Show on One America News Network. Susan has also been a frequent guest on The Morning Blaze with Doc Thompson. In addition, she has made guest appearances on AM 760 KFMB, 600 KOGO News Radio San Diego, 106.7 WYAY FM in Atlanta, News Radio 610 WIOD in Miami, Fla. and Overnight America with Jon Grayson. Her shows are also carried on MOJO50 and iHeartRadio.